USD has been empowered by the major US macro data and put pressure on EUR. Although, poor US housing data gave helped the pair against the sharp decline. 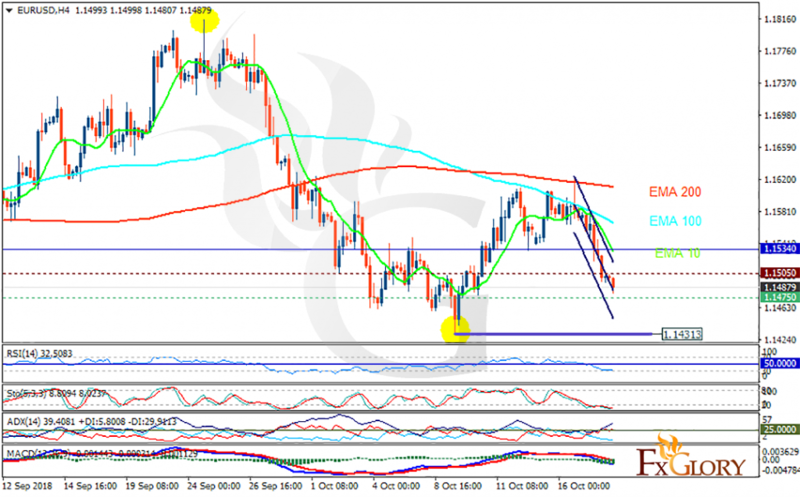 The support rests at 1.14750 with resistance at 1.15050 which both lines are below the weekly pivot point at 1.15340. The EMA of 10 is moving with bearish bias in the descendant channel and it is below the EMA of 200 and the EMA of 100. The RSI is moving in the oversold area, the Stochastic is moving in low ranges and the MACD line is below the signal line in the negative territory. The ADX is showing sell signal. It seems that EURUSD is falling down towards the previous low at 1.14313.